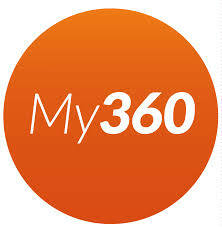 My360 is operated by MyGravity Limited, a company registered in England under Company number 09129309, whose registered office is at 2 Queens Square, Ascot Business Park, Lyndhurst Road, Ascot, Berkshire, SL5 9FE ("we", "our", or "us"). MyGravity Limited is a wholly owned subsidiary of Loyalty Angels Limited and a member of the Loyalty Angels Group. For the purpose of the Data Protection Act 1998 and the EU General Data Protection Regulation 2016/679 (including any legislation incorporating it into local law), we are the data controller. This means that we are responsible for and control the processing of the Personal Information that we collect about you. "Personal Information" or "personal data" means information that can be used to identify or contact you. If you have any questions about our privacy practices, please contact us here. Once you register for our Services via the Site or App, we may collect a variety of information about you, including the categories of information described below. We may combine the information you provide to us directly with information we collect about you and information we receive about you from other sources and use the combined information for the purposes set out below (depending on the types of information we receive). We shall retain your Personal Information for as long as you have an account with us and for such additional period after that as is necessary to allow us to meet our legal and regulatory obligations. if you enter a competition, promotion or survey or provide us feedback on our Services. Personal Information you give us may include your full name, e-mail address(es) and gender. Also, in the course of providing Services to you, we may collect special categories of Personal Information about you, to allow us to provide the Services. If we request such Personal Information from you, we will explain why we are requesting it and how we intend to use it. We will only use this Personal Information to allow us to provide the Services to you. details of your use of our Site or App including, but not limited to, traffic data, location data, weblogs and other communication data, and the pages and other resources that you access. We may also use GPS technology to determine your current location. Some of our location-enabled services require your Personal Information for the feature to work. If you wish to use the particular feature, you will be asked to consent to your location information being used for this purpose. You can withdraw your consent at any time by updating your location services preferences in your device settings. We may receive information about you from third parties we work closely with (including, for example, retailers, other business partners, sub-contractors in technical, payment and delivery services, advertising networks, analytics providers, search information providers and credit reference agencies). We receive this information so that we can provide the Services to you and as part of our legitimate interest to help us provide our Services to you in accordance with your requirements and to improve and personalise our Services. Specifically, we receive transaction information from My360 retailers and merchants about purchases you make with them including purchase amount, purchase items, purchase time and date and the relevant retailers or merchants ("Merchants") for each transaction. This information will be used, for example, to allocate rewards and other benefits to you, to provide you with an opportunity to join the Merchant&apos;s loyalty programme or to add an existing loyalty membership to your wallet, and to provide the other aspects of the Services to you. You authorise the Merchants to share the transaction data with us in order to facilitate your receipt of the Services and for reporting to the relevant Merchant. We may retain the data associated with your account for historical transactions which will be used to provide a historical transaction overview for you and Merchants and which will allow you to monitor, preserve and track your collection of loyalty points, rewards balances and other benefits on loyalty programmes to which you belong. If you have any questions about the data we keep in this context, please contact us here. to notify you about changes to our Site, App or Services. to ensure that content on our Site and App is presented in the most effective manner for you. where you have provided express consent, and if you use our App, we may use push notifications to contact you for these purposes. If you decide at any time that you no longer wish to receive marketing messages from us, you can opt out at any time. To do so, please follow the unsubscribe instructions provided in any of the marketing messages you receive from us or contact us here (Also, see "Changing or Deleting Information" below). If you no longer want to receive push notifications from us, you can update your preferences for the App via your device settings. We may also use anonymized Personal Information about you when we prepare aggregated data reports showing anonymized information for the purpose of advising ourselves, Merchants and our other business partners regarding past and potential future patterns of spending, fraud, and other insights that may be extracted from this data. Where necessary to fulfil our obligations to you, we may pass your details to third parties where this is necessary for the operation of our Service. If you do not wish your Personal Information to be shared in this way, you must not register for the Service and you must not use our Site or our App. We may share your Personal Information with any member of our group, which means our ultimate holding company, Loyalty Angels Limited, and its subsidiaries ("Loyalty Angels Group"). As may be necessary for us to comply with our legal obligations, we may disclose your Personal Information to third parties (such as government or regulatory bodies, law enforcement agencies and professional services advisers) in order for us to comply with applicable laws and valid requests for information from government or regulatory bodies, or in order to enforce or apply our User Terms and Conditions and other agreements; or to protect our rights, our customers, or other parties. This may include exchanging Personal Information with other companies and organisations for the purposes of fraud protection and risk management. At any point you can contact us to ask for a copy of the Personal Information about you which we hold and to request further information in relation to our processing of the Personal Information. If you do wish to receive copies of your Personal Information which we hold, please write to us (including full details of your request) here. Once we have received your request we will respond within one month. In exceptional circumstances, requests that require disproportionate effort may be rejected or only responded to in part; however, we will always communicate our justification for this to you. We will provide a copy of your Personal Information free of charge, however we may charge a small fee based on administrative costs (not exceeding the maximum permitted by law) for any further copies of this information that you may request. We will strive to ensure that the Personal Information that we hold on you is up to date and accurate, based on the information we collect. If you believe that the Personal Information we hold on you is out of date, incomplete or incorrect, please contact us here and we will ensure that it is updated as appropriate. If you would like us to stop using your Personal Information, you can request that we erase the Personal Information we hold but, if you do, your account will be deactivated, and we will no longer be able to provide the Services to you. Once we have processed your request, we will confirm whether all the Personal Information has been deleted or tell you the reason why any of it cannot be deleted. If you would like us to delete your Personal Information, please contact us here with a request that we delete your Personal Information from our database. We will use commercially reasonable efforts to honour your request. We may retain an archived copy of your records (which may include your Personal Information) to meet our legal obligations. You have the right to request that we stop processing your Personal Information but, if you do, your account will be deactivated, and we will no longer be able to provide the Services to you. Upon receiving the request, we will contact you to tell you if we are able to comply or if we have legitimate grounds to continue such processing (e.g. if you have also said that you want to continue to use our Services). If you would like to ask us to stop processing your Personal Information, please write to us (including full details of your request) here. If Personal Information is no longer processed in accordance with your request, please note that we may need to continue to hold your Personal Information to comply with your other rights (e.g. if you want to unsubscribe to marketing communications, we will place your details on our unsubscribe list to ensure we do not contact you as requested) or our legal obligations. We will notify you of this in our response to your request to object to the processing. You also have the right to receive your Personal Information in such a way that it can be transferred to another controller. Once we have received your request, we will comply where it is feasible to do so. If you would like to exercise this right, please write to us (including full details of your request) here. Where we use automated decision making based on your Personal Information (also known as "profiling"), you have the right, to have a person intervene in that decision, to express your point of view, to an explanation of a decision reached and to challenge the decision. If you would like to exercise this right, please write to us (including full details of your request) here. You can make a complaint to us, about how we have used your Personal Information, by writing to us here. Alternatively, you can contact the relevant supervisory authority - for the UK this is the Information Commissioner&apos;s Office, at https://ico.org.uk/. We take the security of your Personal Information very seriously and use strict procedures and security features to prevent unauthorised access to your Personal Information. Although we will do our best to protect your Personal Information, the transmission of information via the internet is not completely secure and we cannot guarantee the security of your Personal Information transmitted to our Site or App. As such, any such transmission is at your own risk. We have put into place additional procedures to protect the Personal Information we hold about you from misuse and loss, and from unauthorised access, modification or disclosure. We work hard to maintain these procedures and keep them current and up to date. Our Site or App may contain links to and from other websites ("Third Party Sites"). If you choose to follow a link to a Third-Party Site, please note that these websites have their own privacy policies and that we are not responsible for these policies. Please check these policies before submitting any information to a Third-Party Site. When contacted with an enquiry from someone who is not a registered user, we will hold the name and contact details only for the purposes of handling the enquiry. The online forms used for enquiries are subject to the same cookies and tracking as the rest of the website (see the above section "Cookies" and our separate Cookies Policy for more information). Calls made to us may be recorded to protect the interests of all parties. Any call records which are created will generally be deleted within 30 days unless we need to keep them longer to meet our obligations.